The Government has launched a consultation process into the impact of bogus self-employment arrangements, which unions estimate have cost the exchequer almost €650m in the construction sector alone. Last month, the Irish Congress of Trade Unions calculated that the rise in such arrangements in construction had cost the State around €80m a year in lost tax and PRSI since 2007. The Government has acknowledged that bogus self-employment arrangements - where the worker is forced to be a sole trader or operate through a company in order to be hired - can result in a significant reduction in PRSI contributions to the Social Insurance Fund. Because the worker is categorised as self-employed, the end-user employer does not have to make an employer's PRSI contribution, and the worker is responsible for their own taxes. However, the ‘bogus self-employed’ worker also sees a significant reduction in entitlements - including the rights to holiday pay, sick pay, maternity pay, unemployment benefit, and employer pension contributions. They may also lose their rights to employment protection legislation on issues including unfair dismissal. 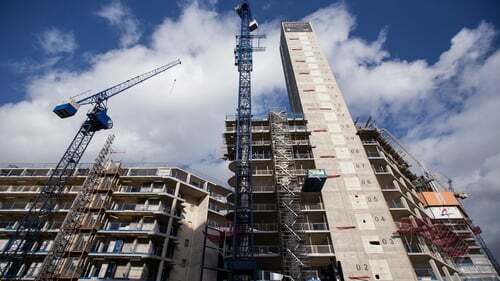 Congress said that current figures showed that around 27,600 sole traders are operating in the construction sector alone, with no adequate controls to check that these arrangement were legitimate. The issue sparked a lengthy strike at the JJ Rhatigan construction site for a state-funded school at Kishoge last year. Statistics reveal an increasing prevalence of individual workers who would normally be engaged as an employee instead providing services through an intermediary - which is frequently a "personal services company" or a "managed service company". The Government says "intermediary-type structures" are a particular feature of construction, but are becoming increasingly prevalent in IT, financial, legal and professional services, the airline industry, media and entertainment. The Government acknowledges that cases have come to light where the end-user employer insists that if a worker wishes to be hired, they must establish a company or accept self-employed status. It has also identified businesses that have been established to help workers to set up and manage such companies. The Government is seeking submissions on possible measures to address the loss to the Exchequer in tax and PRSI, which may arise from such arrangements. Tánaiste Joan Burton said while it was good for the economy to have people who were genuinely self-employed, her department is concerned at the increasing evidence of self-employment arrangements that undermine workers’ benefit entitlements and increase the burden on compliant tax payers. She said the consultation process was a good opportunity to ensure fairness for workers and legitimate businesses alike. Minister for Finance Michael Noonan said certain self-employment arrangements not only cost workers and government through lost insurance contributions, but also undermined compliant businesses. The investigation is not intended to target arrangements where a genuinely self-employed individual either operates as a sole trader, through a partnership, or incorporates his or her business. Submissions must be delivered by 31 March.